CANTALOUPE: MARCOS VALLE INVITES YOU TO OUR E.P. LAUNCH GIG! MARCOS VALLE INVITES YOU TO OUR E.P. LAUNCH GIG! I'm obsessed with this song (and album) at the moment. £6 pre-order ticket includes 12" and download code! And there'll be live visuals from obscure cinema renegades THE KNEEL BEFORE ZOD VIDEO CLUB OF NOTTINGHAM CLUB! 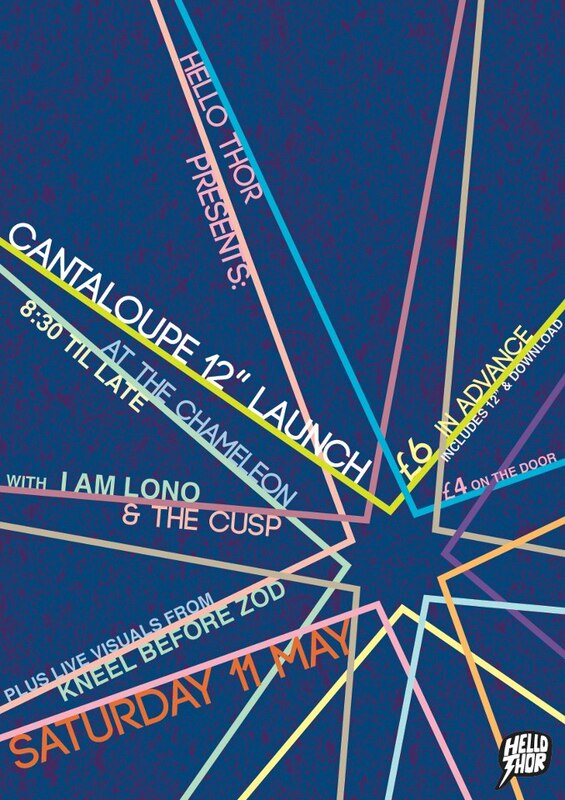 This is the only place that you can buy the "Splish/Wet Dog" 12" and copies will be available exclusively at the gig: http://hellothor.limitedrun.com/tickets/81-cantaloupe-12-launch-party-saturday-11th-may-2013. For £6 you'll get into the gig, we'll give you a beautiful 12" single with download codes on the night, plus you'll get an immediate download of Splish, right now. Tickets without the 12" will be £4 on the door only - don't be late or you won't get in! Following the gig, the 12" will be available for pre-order exclusively from www.hellothor.com from Sunday 12th May until it hits actual record shops from Monday 17th June. Oof! That's plenty for the time being.